Just a quick update for now! First, I’ve made it to Haifa in Israel after some thirty-eight hours of transit. A blog post about the journey and my day trip in Warsaw is in order, but for now this news must suffice. Second: I’ve created a Flickr Photostream where I’ll be able to post most, if not all, of the great photos I take over the next 5 weeks. 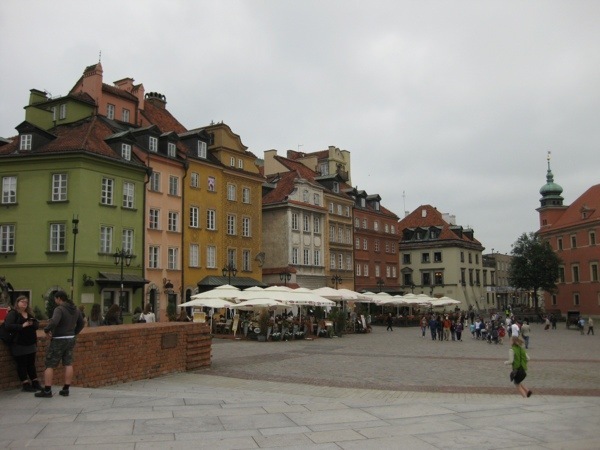 I’ll still feature the best of the best on the blog (such as Old Town Warsaw, below), but for the greater collection of pics, consider bookmarking that link! Rob, thanks for posting these picutres this morning. The tour must have been great and I’m more excited for you after seeing these pictures. Glad everything worked out for the tour!